Traditionally a celebration of the Queen’s Birthday, this year’s Summer Garden Party has an American twist, in honor of Prince Harry’s marriage to Meghan Markle. 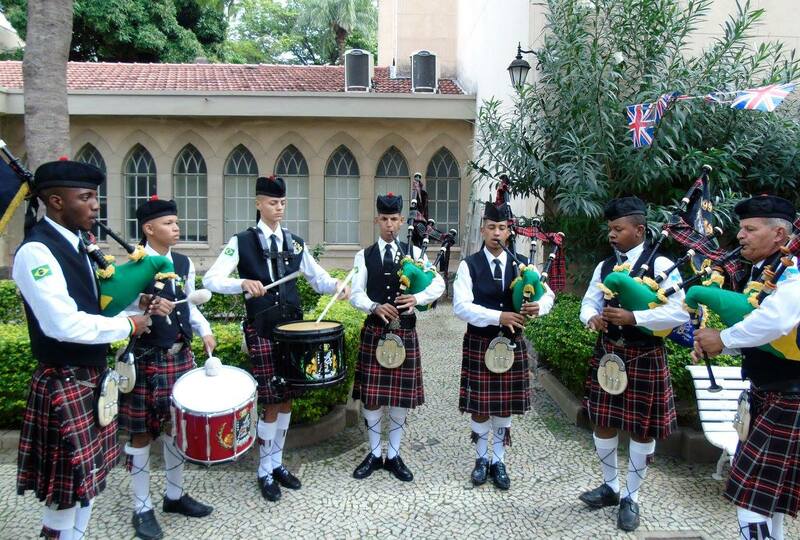 RIO DE JANEIRO, BRAZIL – This Saturday, June 9th, the British and Commonwealth Society will be throwing their annual Summer Garden Party, with an American twist. Not only will they be celebrating the 92nd birthday of Queen Elizabeth II, but they will also be honoring Prince Harry’s marriage to his American wife, Meghan Markle. By hosting a traditional garden party once a year, the British and Commonwealth Society is known for turning a little corner of Brazil into a home from home for British and American expatriates, as well as anyone else with an enthusiasm for British culture, photo internet reproduction. This year’s garden party will be a more laid-back, family-friendly event than usual, reflecting the American influence on the Royal Family. Not only will all the British summer favorites be there, such as homemade English sausages, roast beef, rhubarb crumble and Pimms & Lemonade, but there will also be American style ribs ‘n’ wings and prosecco on offer. For music, Pedro Friedrich will be playing the songs of the Beatles, with some Mississippi blues mixed in for good measure. Alongside a birthday cake for the queen, highlights from the royal wedding will also be playing on a big screen. There will be a country bazaar selling homemade goods from the community, and for those feeling lucky, a raffle will be giving away great prizes such as a one-night stay in the Honeymoon Suite of the Grand Hyatt Rio, in Barra da Tijuca. All money raised at the event will be going towards a great cause, the NGO ‘Luta Pela Paz’ (Fight for Peace) which helps improve the lives of thousands of children in Rio through martial arts and sports. Some of the kids from the charity will also be putting on a Capoeira demonstration. In attendance will be British Consul, Simon Wood, one of our most interesting gringos of 2017, as well as American Consul, James Story, and Canadian Consul, Evelyn Coulombe. The advised dress code is ‘British Summer’ – think red, white and blue, and smart to smart-casual.